Festivities, public political protests, and other massive cultural programmes to local poorams sporadically permeate social life in Kerala. One such ceremony is Mamburam aandunercha. 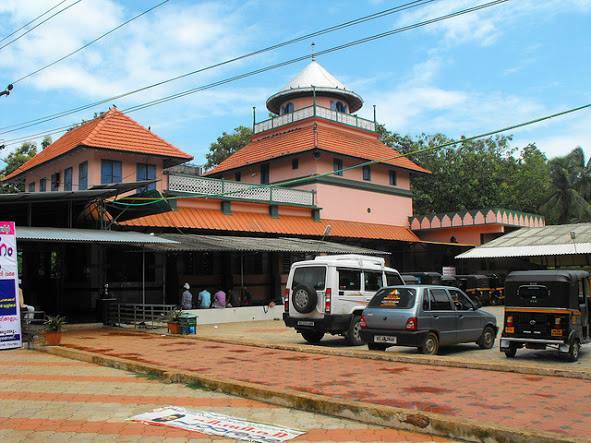 Mamburam, a village nestled in Malappuram, holds the spiritual tomb of Qutubuzzaman al-Sayyid Alawi Mouladhawila, containing his holy relics. He had lived in Kerala more than 200 years ago. Mamburam aandunercha is an annual death anniversary celebration of Mamburam Thangal – as his name is popularly known – staged in this sacred village. Conducted each year spanning the first seven days of the Muharram, the first month of the Arabic Hijra, the festival is attended by people cutting across gender, religion, race or ethnicity. Born in 1166 AH (Arabic Hijra) in Tharim, a small village in Yemen, he grew up as an orphan. When he turned 17, he migrated to Malabar, Kerala, with his uncle with the purpose of religious propagation. When he arrived in Kerala, Malabar was reeling under the yoke of caste system among Hindus and feudalism, which oppressed Muslims. Hindu landlords employed Muslim tenants without giving them proper remuneration. Mamburam Thangal could eradicate these two social evils to a great extent and brought these marginal communities under a single umbrella in order to fight against the British government in the state. He was convinced that polarisation could weaken their fight against oppression. 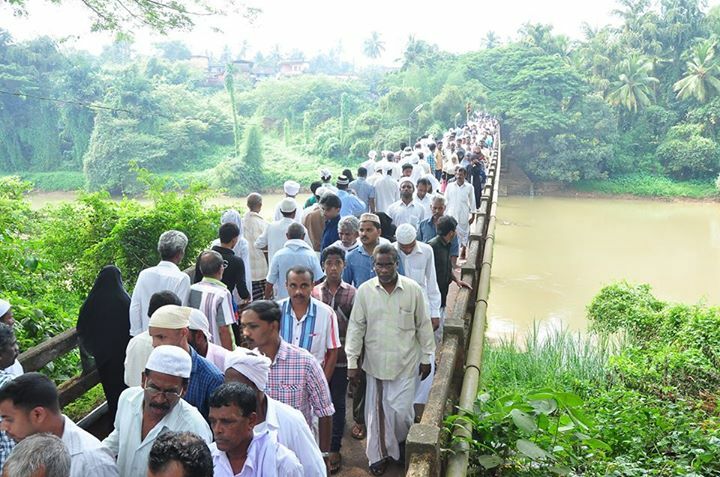 His seventy-six year long stay in Mamburam brought not only religious harmony but a humanitarian message as well. Mamburam Thangal was a Sufi saint, who lived an ascetic life. He was a spiritual guide, whose life provided solace to those who sought peace in the midst of the hustles and bustles of life. He was also a freedom fighter, who long struggled against the British. During the Cherur Struggle in 1843, he sustained a leg injury which caused his death on Muharram 7, 1260 AH (AD 1845). Thus, the seventh day of Muharram culminates into a magnificent event which is suffused with religious fervour. With the white flag embossed with holy verses in green hoisted on the pole in the front yard of the tomb, the ceremony marks its start with the influx of people from different regions. While they chant incantations in chorus, they turn, as if, into a single soul. The tomb that contains Mamburam Thangal’s physical remains and holy relics is covered with a charming dome. It is located at an idyllic setting on the upper bank of a river, Kadalundi, which flows serenely by the tomb. With the doves fluttering over the tomb and the gentle river gliding by, the place provides a rich setting for self-introspection and for soaking in the aesthetic beauty of the surrounding. In the vicinity of the tomb stands a small house – known as maliyekkal veedu – where Thangal had lived more than two hundred years ago. Despite the ravages of time and weather, the house remains intact. 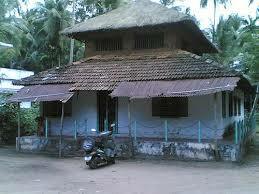 Built with laterite stones and thatched with palm-fronds, it contains some of the holy relics. In order to savour a rare silence of spirituality, thousands of people gather here. Burdened with life’s complexities and agonies, people throng the Holy Sepulchre in the hope of finding hope and solace. They step into the river, have a quick ablution before entering the tomb. The devotees pray to God to cure their woes; some shed tears that stream down the cheeks, some sob, and some, incoherent with piety, stand there like a besotted lover before their beloved. They emerge from the tomb with radiant faces. When the ceremony approaches its end, the tomb and its surroundings literally bulge at the seams with people from different religion, race and gender, across social strata. The ceremony is conspicuous because of the presence of non-Muslims. They become a part of the assembled multitude that perceives the saint as beacon of hope and peace. 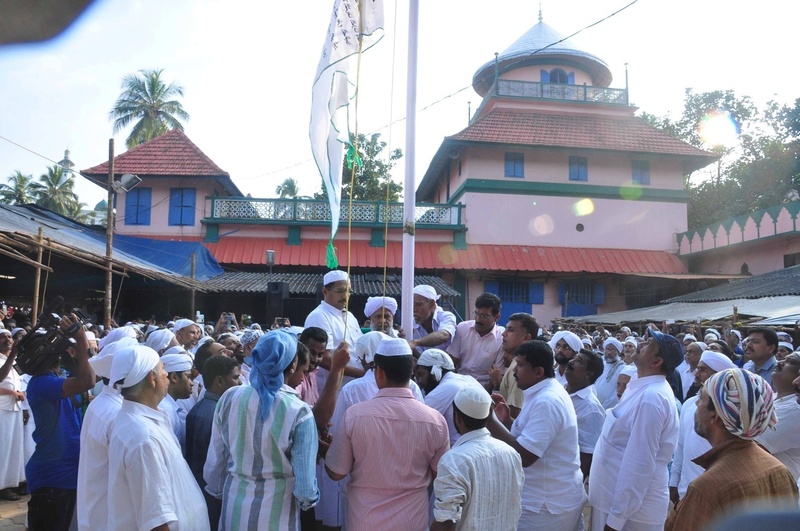 The ceremony re-enacts, as if, Thangal’s message of interreligious harmony. An inspirational presence in his time, he presided over some of the Hindu religious festivals. 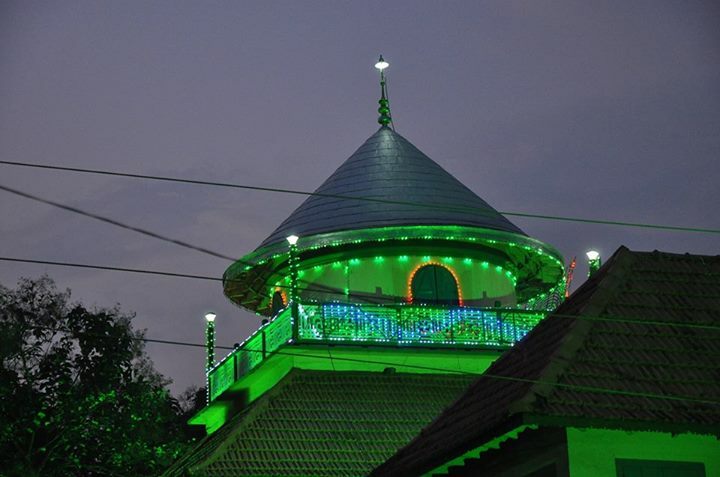 Kozhikkaliyattam – a festival of lower-caste Hindus in Munniyur, near Mamburam – is held every year on a Friday, the day of Muslim congregational prayer. The day of the festival was fixed by Thangal. The lower-castes gather there from different parts of the state with colourful processions marching to the accompaniment of drums. The spectators are drawn to the figures of horses made with palm-fronds. The festival remains an exemplar of religious harmony even now. Interestingly, his personal custodian was a Hindu, who bore the name of Konthunair. On the nights that follow, religious sermons are delivered by speakers, proficient in the history of the saint. People organize themselves into a semicircle in front of the podium. As people jostle for space inside the tomb, they take their turns to view the saint’s grave. Like other tombs in India, the beggars, the destitute, and the widows gather to seek help from the visitors. On the seventh day, trucks laden with packets of ghee-rice arrive at the tomb. The sacred rice is distributed among nearly two lakh people, who form a long serpentine queue, which snakes beyond the tomb. 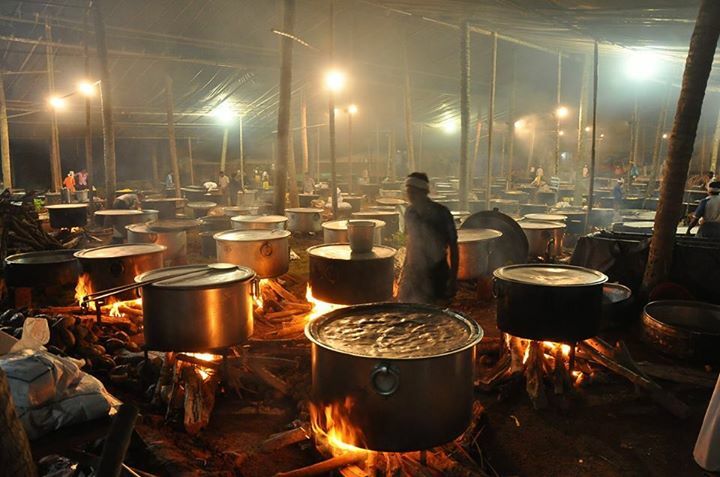 The night before, the rice is cooked on the campus of Darul Huda Islamic University, which has been at the helm of aandunercha for last 16 years. The food is cooked and packed by the faculty members, who are joined by the people from the neighbourhood. By noon, once the food distribution ends, the ceremony comes to an end with a congregational litany. 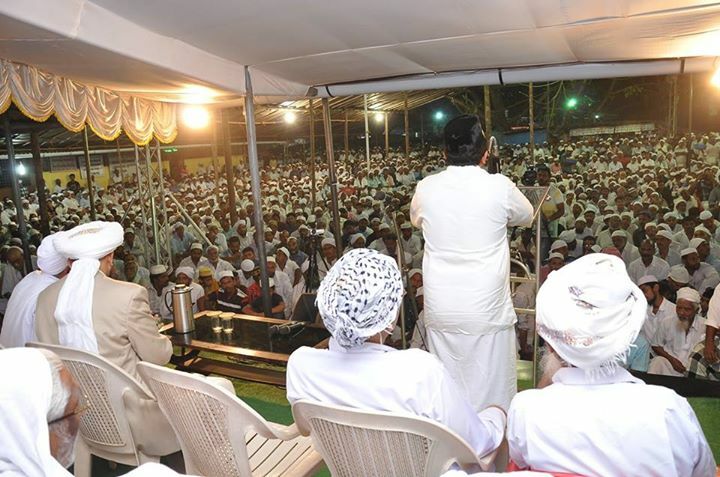 Sandwiched between the Arabian Sea and the Western Ghats, Kerala has always welcomed religious propagators with open arms, both Christian and Islamic. These propagators have enjoyed people’s deep reverence both during their lifetime and after their demise. These celebrations are a reminder of India’s spiritual heritage. Apart from the spiritual elements, there is a practical aspect to the festivities as well. The money accumulated during the festival is allocated to the poor; food is distributed; and knowledge is imparted. As human beings make progress in the domain of science and technology by transcending the conventional barriers, man feels a thirst for spirituality. Thus, the love for the Sufis, martyrs and other dignified personalities shines brighter and constantly grows. While some might term such reverence for saints as superstition, it only betrays the limits of our reason. Mohammed Mishad K is studying BA in English Language and Literature at the University of Calicut, Kerala. His email: misadvilayur@gmail.com.